RAM (Random Access Memory) is the memory which computer uses to work on different processes. The more RAM you have, the faster the process is. Usually, these days the computers come with atleast 1 GB of RAM. But, that’s not enough to run some High Memory consuming softwares. Especially, the Games require a big amount of RAM to play smoothly. I have faced many problems with Games on my computer due to RAM. 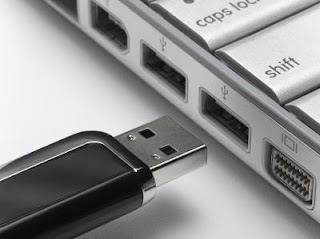 So, here I am going to show you how you can use your USB Pen Drive as RAM. The process explained below is for Windows 7 OS. For other, it might be slight different. Step 1: Go to Start followed by Control Panel. 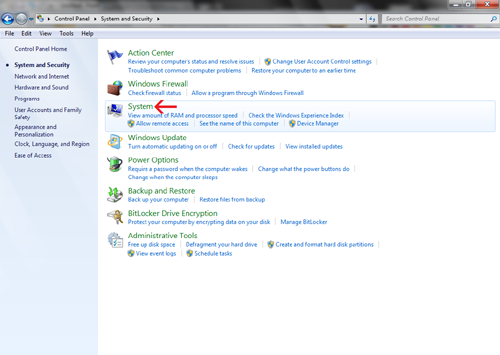 Step 2: Click on System and Security, then select System. See below screenshot. Step 3: Now select Advanced system settings from the left side. Step 4: The dialog box will open in Advanced tab, click on Settings, then go to Advanced tab. Step 6: In Windows 7, the box Automatically manage paging file size for all drives comes prechecked, so we have to uncheck it to perform the operation. Step 7: Now, from the local drives list, click on your Pen Drive letter, eg. H and set the Custom Size for it. If you have 4 GB Pen Drive, then enter 700 in Initial Size and 3072 in Maximum size and hit Set. See below screenshot. Now, the computer will restart and everything is done !